hd00:10Dolly Shot Of Woman With Healthy Fruit Plate Eating An Apple. 4k00:07Female hands hold piece of pizza closeup 4K. 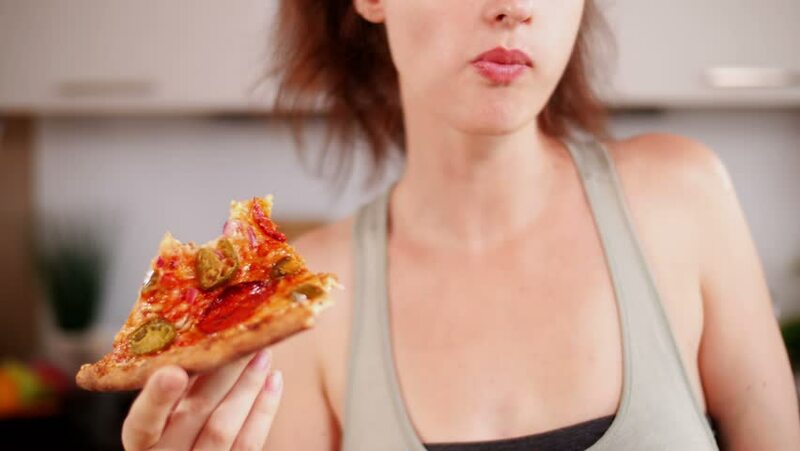 Person eating pizza, holding with both hands, close up on fingers with colored fingernails.